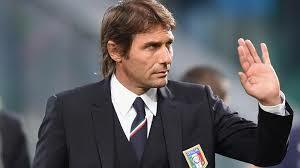 “I spoke to Andrea, I needed to hear from him and we sent people to the US,” Conte said at a press conference. “However, we’ve made other choices and you have to accept them and deal with the consequences. Nothing was left to chance. Pirlo omission, who made his debut for Italy back 2002, might mean the end of a long and illustrious international football career. Italy has been drawn with Swede, Ireland and Belgium in Group E.
Defenders: Davide Astori (Fiorentina), Andrea Barzagli (Juventus), Leonardo Bonucci (Juventus), Giorgio Chiellini (Juventus), Angelo Ogbonna (West Ham), Daniele Rugani (Juventus). Wingers: Federico Bernardeschi (Fiorentina), Antonio Candreva (Lazio), Matteo Darmian (Manchester United), Mattia De Sciglio (Milan), Stephan El Shaarawy (Roma), Davide Zappacosta (Torino). Midfielders: Marco Benassi (Torino), Giacomo Bonaventura (Milan), Daniele De Rossi (Roma), Alessandro Florenzi (Roma), Emanuele Giaccherini (Bologna), Jorginho (Napoli), Riccardo Montolivo (Milan), Thiago Motta (Paris Saint Germain), Marco Parolo (Lazio), Stefano Sturaro (Juventus). Forwards: Eder (Inter), Ciro Immobile (Torino), Lorenzo Insigne (Napoli), Graziano Pelle (Southampton), Simone Zaza (Juventus).